Celebrating the life of Frank "Frankie" Lewis Hudson, Jr.
Be the first to share your favorite memory, photo or story of Frank "Frankie". This memorial page is dedicated for family, friends and future generations to celebrate the life of their loved one. 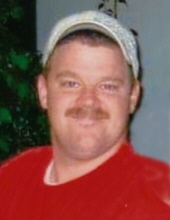 Obituary for Frank "Frankie" Lewis Hudson, Jr.
Frank Lewis Hudson, Jr., 39, of Madison Heights, passed away Thursday, November 8, 2018 at his home. Frankie was born October 28, 1979 in Lynchburg. He is survived by his wife, Candace Blankenship Hudson; his daughter, Zoie McKenzie Hudson; his son, Frank Lewis Hudson, III; his father, Frank Lewis Hudson, Sr. and wife, Barbara; his sister, Helena Shay Poe; his niece, Cheyene Poe and many relatives and friends. Frankie was preceded in death by his mother, Vickie Sligh Tyree; his nephew John Wesley Poe, his brother-in-law, Joe Poe; maternal grandparents: Carl Edward Sligh and Helen Tyree Sligh; and paternal grandparents: Frank Hewitt Hudson and Evelyn Martin Hudson. To send flowers or a remembrance gift to the family of Frank "Frankie" Lewis Hudson, Jr., please visit our Tribute Store. "Email Address" would like to share the life celebration of Frank "Frankie" Lewis Hudson, Jr.. Click on the "link" to go to share a favorite memory or leave a condolence message for the family.